This guide will help you to Add New Page. 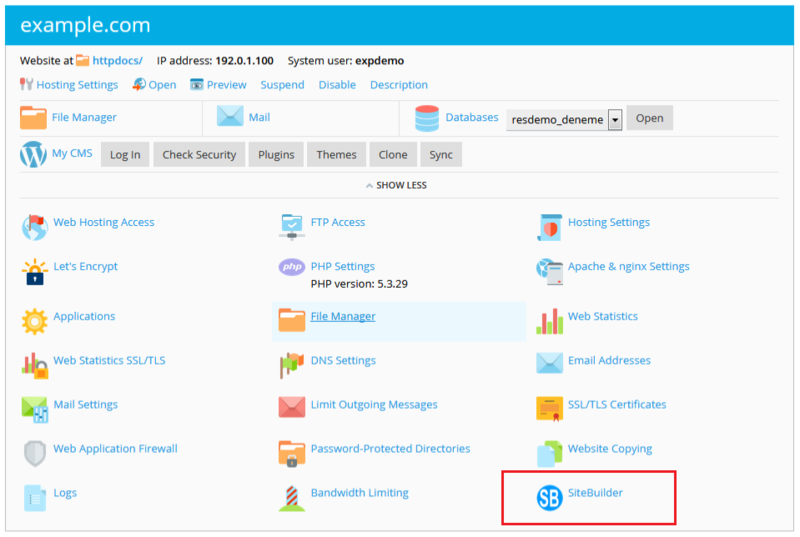 Firstly Login to your Control Panel Then click on the SiteBuilder Icon/Link. You will be redirected to SiteBuilder. Once you are on SiteBuilder dashboard. You will see Pages option on Sidebar Navigation Menu. 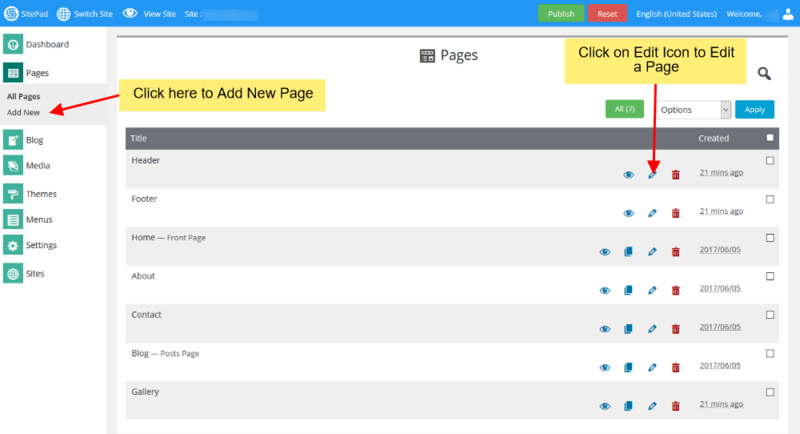 Click on Pages to Add new pages or Edit pages for your website. You can click on either option i.e Add Page or Click on Pages option to Select All Pages. When you select All Pages you can see certain options such as Edit Page, Delete Page, View Page etc. If you Select to Add New Page/Edit Page option. Then you will be redirected to Edit Page where you can Edit Page. If you select to Add new Page the page title will be New Page and Page url will be Page. You can change these both to your desire Page name and URL. By default the new page gets Added on the Menu Bar once you update the Menu Namechanges to that of the Page Title. You can also drag and drop different Widgets where ever you want the to see the elements. 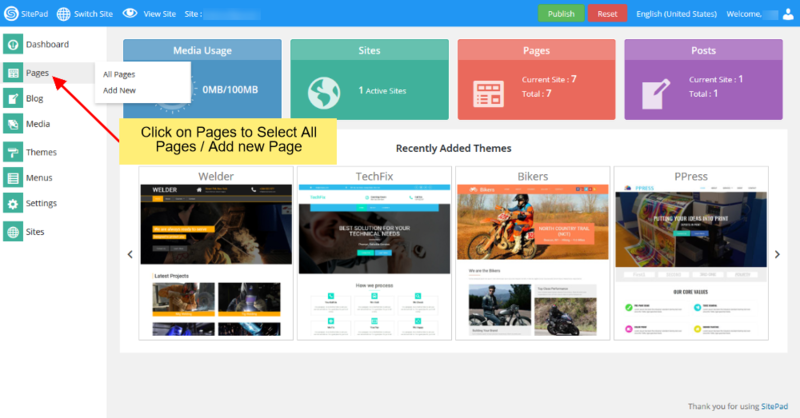 There are many different Widgets like Title, Paragraph, Slider, Service Box, Rich Text, Images, Videos, etc. When the item is dropped on a particular position to Edit you will be able to find Action bar, Advance Option to Customize etc. for different types of Widgets.